A very funny thing happened before I read this book and it was a lesson learned! Where'd You Go, Bernadette was the latest selection of the book club I'm in with some friends. Bernadette is a mom with a little too much life going on. She's a brilliant architect although she hasn't practiced her art/trade in years. She's a fantastic mom but she runs away. She's in love with her husband but they hardly speak. She lives in a neighborhood but doesn't get along with any neighbors or have any friends, for that matter. This is a quick read written in the form of notes, emails, and letters. It's funny and frustrating all at the same time. Bernadette's daughter Bee definitely was my favorite character and I bet she'd be yours too. I'd love for you to read it and then come tell me what you thought. Need more fun reading ideas? Click here. Loved the format and structure and humor of this book. I didn't know it was going to be a movie - should be great! We too read it for book club, and everyone loved it. Just be careful where you are reading it as you will truly laugh out loud at some point! I've been wanting to read this one for a long time! Did the ladies in your book club like it? Was it a fun one to discuss? We're having a difficult time deciding what to read in my book club. We're reading The Lake House by Kate Morton for February, and since all of her books are wicked awesome we're hoping that this new one will be, too. I think sometimes we are better off going into a book or movie with no knowledge! I am going to put Bernadette on my list. Thanks for noticing my little tea towel on my last post. 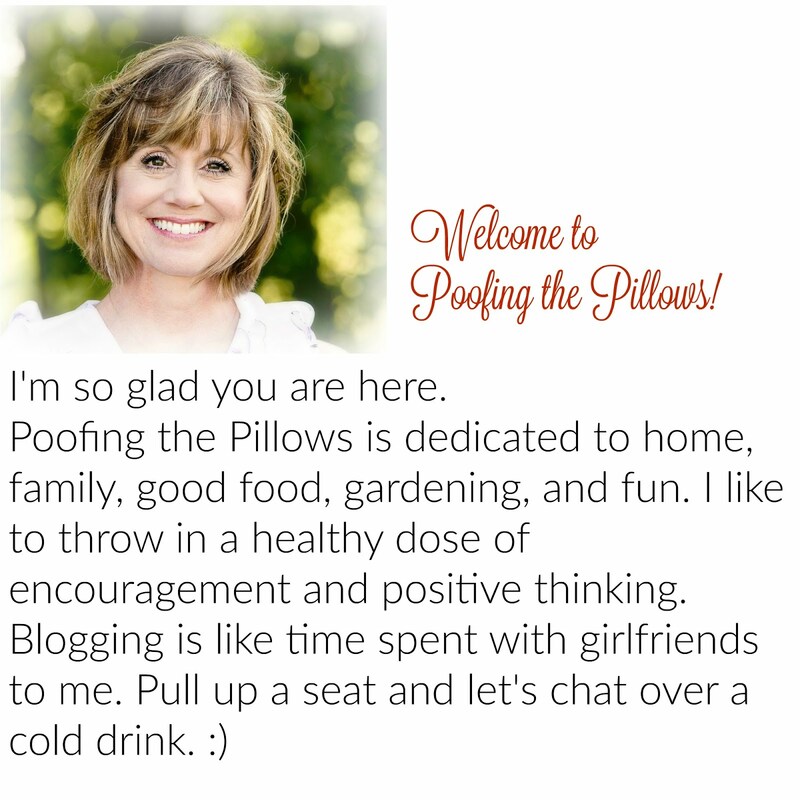 I haven't made the pillow yet because I put my sewing machine away until I get this house organized after Christmas. This sounds cute! The casting for the movie is certainly interesting.I think I'd like to see it when it comes out. You gave a pretty good book review to entice me to read the book. This sounds like one I'd enjoy! When invited to join a book club recently, I jumped at the chance. I am enjoying it very much! One of the reasons I joined a book club was to broaden my reading topics. I love science fiction and tended to always choose books in that category. Now, I rely on my book club friends to come up with their selections when it's their turn to do so. I read the reviews for the books, but realize that I do not always agree with reviewers, especially movie critics. There is one movie critic in our area that is 180° different from my reactions to movies. So, book reviews are also read with a grain of salt. I'm going to read the reviews for this book and consider it as a suggestion to my book club. Thanks, Stacey, for also broadening my reading topics. I have heard of this book, but never read it. As the temps drop, I find myself craving a good book. This one is on the list! Thanks! Thanks for sharing. I will add this one to my list. Sounds good. Looks like a good read. I love reading! I read every night before bed. I'll look for this one at our library. Hope you have a great Wednesday Stacey! I recently read it too. I found it comical at times. I purchased at the airport based on the cover. So glad it was a good read! I have this book in my kindle but I haven't gotten to it yet! I have not heard about this book, but it sounds like fun. Thanks for the suggestion Stacey! It sounds wonderful and I have lots of time for reading since my knee is in a brace for the month of January. Yikes. Always decide things for yourself....reviews are fine for what they are but different things speak to different people. I've seen this book but had not talked to anyone who's read it, I'm so happy you showcased it as it really makes me want to read it now! Hope you had a wonderful day!! Thanks for the recommendation, Stacey, I've put it on my list. I always try to read as little as possible about a book or a movie, so that I can decide for myself. I will definitely add this one to my list also. I try not to read reviews, but you are right. .they color your perception of something. It sounds great and I look forward to reading it. ..I'm ready for some down time! Hugs!! Stacey... Bernadette is our book for book club next month. I know what you mean about reviews. I usually read a review mid-book if the book was either really good or really bad. Have a great weekend. I've heard this is a good read and I love when they make books into movies. :) I try to stay away from reviews too, with books and everything else. Amazon can persuade you one way, then another over and over if you read their reviews. Ha! I downloaded this audio book from the library and find the format you mention of notes, emails, and letters very intriguing. 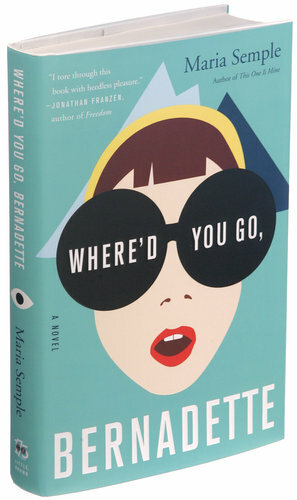 I enjoyed most of Where'd You Go, Bernadette but I found the ending pretty disappointing. It wrapped up too quickly and seemed so out of character for Bernadette. I will be curious to see the movie.